Our surgeon Mr Miles Berry comments upon the less-than-subtle facial change of Renée Zellweger. The results may surprise you! 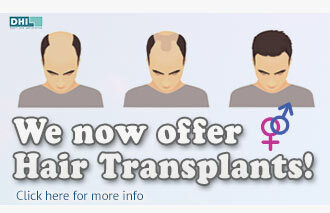 At Cosmetic Surgery Partners the expert opinions of our surgeons are regularly sought by the press and media. 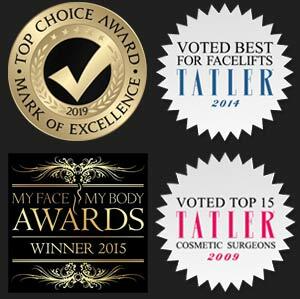 With some of our surgeons having track records of more than 20 years successful operating, TV appearances and lectures worldwide it is not hard to see why. Of late there has been a big buzz about the ever-changing faces of Hollywood. In particular many people have been taken completely by surprise by the complete facial transformation of Hollywood actress Renée Zellweger. Although we’ve grown accustomed to Renee’s continually changing body shape due to the demands of her acting career: Bridget Jones’ diary anyone? Not once, but twice she famously chomped through 4,000 Calories a day just to play the cuddly-sized role of Bridget Jones. However not long after that we saw her swapping the curves for mean muscles after being spotted sporting a slim gym toned bod. So we are actually used to her body yo-yo’ing up and down the scale … but what has happened to her face? Most people now struggle to notice any resemblance to the Hollywood starlet! She asserts the looks are due to an improved lifestyle, and maintains there has been no cosmetic or plastic surgery performed. Our surgeon Mr Miles Berry MS, FRCS (Plast) was asked to make comment for an article in ‘Reveal’, a magazine about celebrity lifestyle. Below is a transcript of the article… Full original Reveal article link can be found below Miles’s quote. Miles Berry of Cosmetic Surgery Partners in London offers his expert opinion: `I almost didn't recognise Renee as the differences are so great. Although originally a poster girl for the round face, she has certainly lost width. Although jaw surgery can have this effect, it is more likely that Botox has weakened the muscles at the angles of her jaw. With the upper lip looking fuller, and we all lose lip volume with age not the opposite, she may well have had lip fillers too. `The main differences are around the eyes,' adds Miles. 'Renee always tended towards the narrow eye and the after photo shows much more of her eyeball, which makes her look fresher and more youthful. Her eyebrows are flatter, suggesting the forehead muscles are not having to work so hard to lift excess eyelid skin.' Moreover, she still has crow's feet so if she has had Botox it has either worn off or was very light. Her skin seems better quality-wise now and that, too, points to fillers, or possibly a transfer of her own fat.' Renee first found fame after starring in the 1996 film Jerry Maguire, but she became a household name after landing the lead in Bridget Jones's Diary in 2001.